After a federal judged ruled in December that the seven-round magazine limit provision in the New York SAFE Act was “tenuous, straitened, and unsupported” – and therefore unconstitutional – New York State Police updated their guide on the SAFE Act, urging officers not to enforce the law on magazine limits. 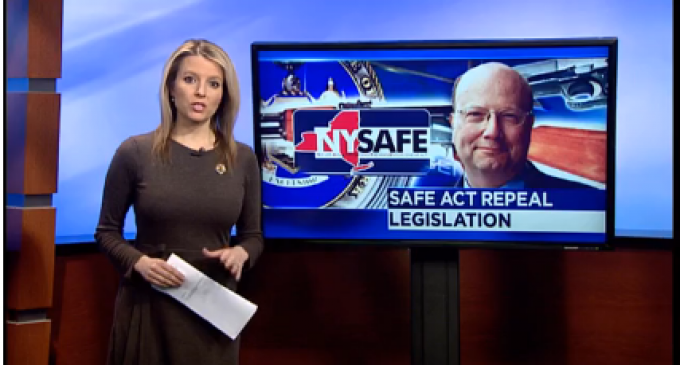 Video: One NY politician, Bill Nojay (R), is trying to get the entire act repealed. Following a federal judge’s ruling in December that the seven-round magazine limit imposed under the New York SAFE Act was “tenuous, straitened, and unsupported” and therefore unconstitutional, state police have updated their filed guide on the controversial law to urge officers not to enforce the arbitrary magazine limit. The announcement on the revisions to the New York State Police NY SAFE Act Guide was made on Wednesday and came via the New York State Rifle & Pistol Association. “To date, NYSRPA has spent over $500,000 in litigation and we are prepared to fight the NY SAFE Act all the way to the U.S. Supreme Court where we are confident that many provisions of the law will ultimately be overturned,” he continued. Gun owners must register their ‘assault weapons’ by April 15. If they fail to register them, they must destroy them, turn them over to state police or sell them out of state by the deadline or else run the risk of being in violation of the law. Additionally, the NY SAFE Act placed a retroactive ban on magazines that hold more than 10 rounds and does not permit gun owners to load more than seven rounds in those 10-round magazines. There is no grandfather clause for magazines that hold more than 10 rounds, gun owners had to either sell them out of state, destroy them or turn them over to state police by Jan. 15, 2014. Cuomo is going to have his hands full getting reelected, that is unless too many people leave the state.